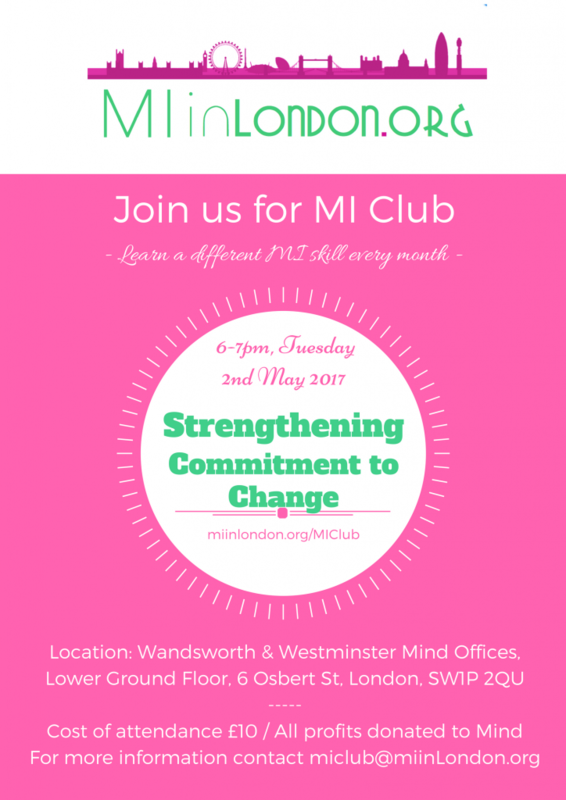 It’s here, on 2nd May 2017 come and learn about How to Strengthen Commitment to Change in Motivational Interviewing. We’ll be introducing Strengthening commitment. It’s an important part of Planning, the 4th MI Process. Getting commitment sounds easy but it’s more than just saying it. We must evoke intent and help people to hear their own commitment. How to know when the right time is to ask for commitment.